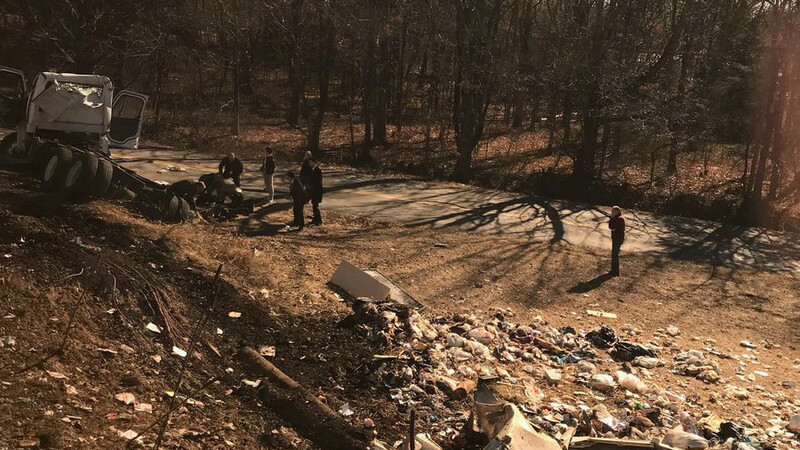 A train carrying Republican lawmakers, staff and families to a policy retreat in West Virginia has hit a truck near Charlottesville, Virginia. One person inside the truck was killed, according to local media reports. It's unclear if there were any serious injuries on the train. Congressional Institute spokesperson Jessica Twohey later told WYIR TV, in addition to the one fatality and one injured person on the truck, one congressional member was sent to the hospital, and two other people were examined. Minor first aid was also offered to those who were on the train. Photos from the scene showed the truck's trailer sheared off, with debris scattered everywhere. A nurse told WVIR there was one fatality and at least one person was in critical condition. Of the three passengers in the truck, one was killed and two were injured in the crash, Senator Jeff Flake (R-Arizona) told the Washington Post. Flake and other lawmakers helped local medical personnel carry one of the injured passengers to an ambulance. “This was without question a big wreck,” Rep. Pete Sessions (R-Texas) told Fox News via telephone, adding that "many people took a hard hit to the head." The train reportedly went from traveling 70 miles per hour to a hard stop. "It was a very high-speed collision, there was no braking" Rep. Jeff Denham (R-California), who was on the train with his wife and 8 children, told Fox News. The annual legislative retreat was scheduled to be held in White Sulphur Springs, West Virginia. On Wednesday night a two-hour dinner was scheduled with Vice President Mike Pence. Pence was not on the train. On Thursday there was supposed to be a two-hour lunch with President Trump, according to Politico. The train has been pulled away, and is heading back to Charlottesville. WVIR reported the "track crossing sign is signalized with arms down." Train carrying GOP lawmakers involved in crash has arrived at the Charlottesville Amtrak station, where several buses are waiting to transport them. Federal Railroad Administration records show a prior accident at the same railroad crossing. In February 1999, a train hit a truck that got stuck between the rails.